Everyone needs an easy, impressive and drop-dead-delicious pastry recipe up their sleeve. 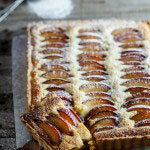 Mine is the incredibly versatile frangipane tart which gets a different flavour added every time I make it. I’ve made it with nectarines and with raspberries and I fall in love with it more and more every time I make it. I made this stunning tart for the NoMU Recipe Mailer for June using their stunning products. 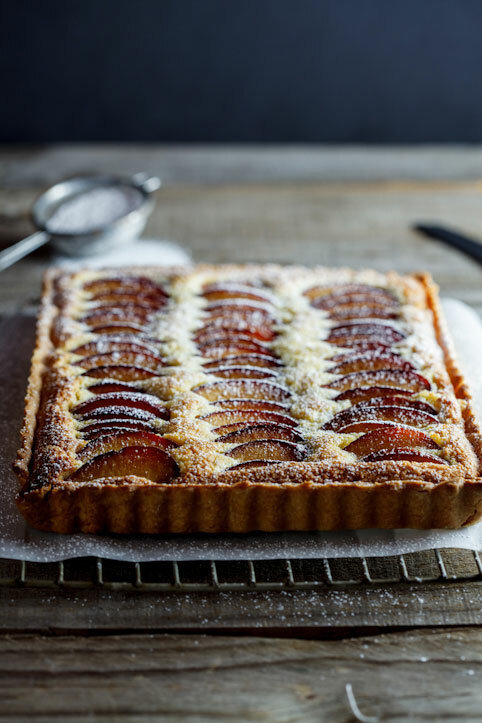 This tart really is the epitome of a chic dessert or tea-time treat and is much simpler than you might think. To make the pastry, combine the flour, icing sugar, butter and vanilla paste in the bowl of a food processor and pulse until the mixture resembles rough breadcrumbs. With the motor running. add the egg yolks and just enough water for the dough to come together in a ball. Remove the dough from the food processor and shape into a disc. Wrap in cling film and place in the fridge for 30 minutes. After 30 minutes, roll the dough out on a floured surface and place in a suitable tart case. Place back in the fridge while you get started on the filling. Pre-heat the oven to 180°c. In the bowl of a mixer, cream together the butter and caster sugar until light and fluffy. Add the vanilla paste, almond essence and eggs and beat well, scraping down the bowl if necessary. Add the ground almonds and flour and mix until well combined. 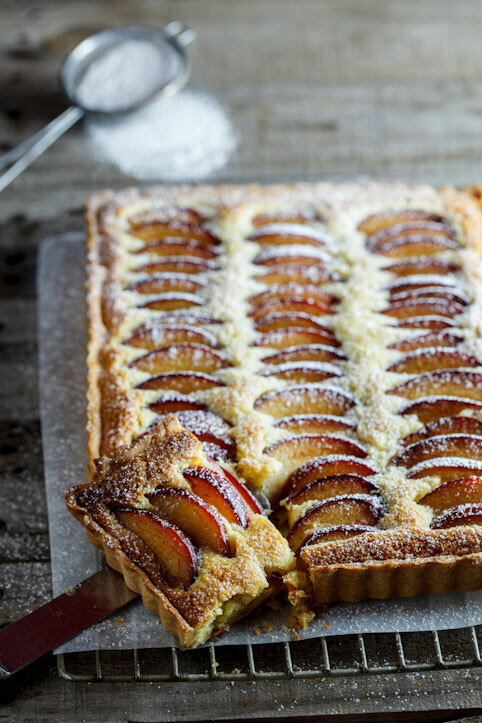 Spread the almond mixture onto the prepared pastry and top with the sliced plums. 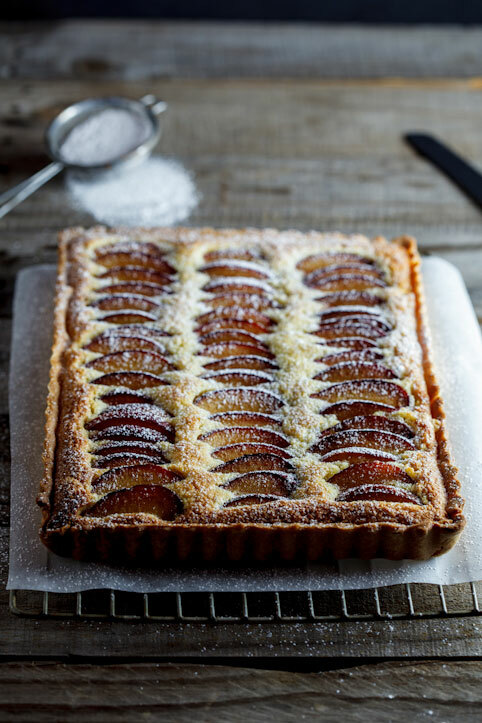 Place the tart in the oven and allow to bake for 20-25 minutes until the frangipane is golden brown and cooked. Remove from the oven and allow to cool before slicing and serving. 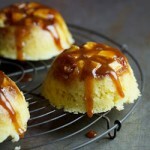 Oooh, I would so love to make this! 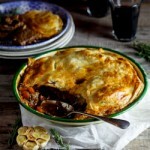 Could you please post recipe with US measurements? I would be very thankful!. Made this yesterday and now sitting in bed enjoying it with a warm cup of coffee. What can I say? It is simply delicious :)! Ah, I’m so glad you like it! This looks delicious! Do you blind bake the crust before putting in the fillings I and baking or is this step not necessary? Rosemary, you can if you’d prefer but I just usually bake it on the bottom shelf and it seems to work just perfectly. Can you give amounts for those of us who don’t use the metric system? The tin was approx 30cmx20cm. Hi there, what size tart case did you use for this version? Thanks. This is gorgeous!! Love it.